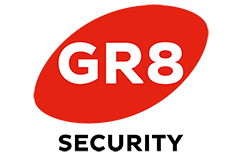 GR8 is able to offer a wide range of security solutions tailed bespoke to your requirements. These services are as wide ranging as the sectors we operate within and the customers we serve. The diverse industry experience we have gained enables us to develop our services, continue our record of excellence and share best practice across our contracts. GR8 takes pride in providing a continuous quality, cost effective service, whilst ensuring customer retention due to consistency of standard. We take real pride in delivering the highest levels of service at an affordable and competitive rate. Whether you operate from a single location or run a nationwide network of outlets, we can help by deploying fully licensed, permanent or temporary quality personnel on single or multiple sites. 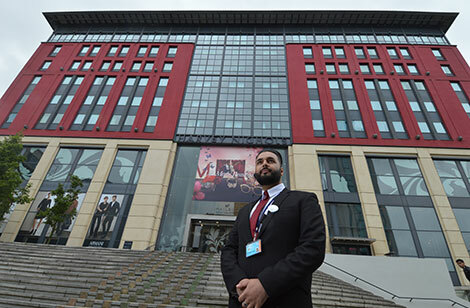 Our Security Solutions are delivered to the highest level by our professional security staff. GR8 invests in its staff; we value our people and the skills they offer. Our teams are proficient, attentive, competent and dedicated to minimising risk for the customer. To date 100% of customers recommend us, which is not a surprise when you review our performance, client retention, cost effectiveness and commitment to quality. The Manned Guarding services we develop are as varied as the customers we serve. We provide bespoke solutions to meet the needs of individual customers and the sectors they operate in. These services fall into five broad sectors. We have developed a range of services designed to meet the specific needs of individual Managing Agents. Our experience has been gathered through working in partnership with several blue chip Managing Agents. We are driving standards and value by delivering solutions that combine highly trained front line security personnel, together with security systems installation and hands on effective management support. In an environment where public standards must be maintained in terms of service and cost, our partnership approach aims to deliver quality, value and transparency.